I have a Pentax K7. When I look through the viewfinder something is dirty/blurry. I can literally see fingerprints.... But my lens is clean front and back. They outside of the viewfinder is clean. The sensor is clean. The pictures look fine. What's up? And how do I fix it? Are you sure they are Fingerprints? Focusing screens Do have texture to them (and your camera will not show you an image in the viewfinder without it). It definitely sounds like the focusing screen since it does not show up in the pictures. How it got dirty on a new camera is VERY strange, it very well could just be the texture of the screen itself. I've heard people mistake the texture for finger prints, but you really think its dirty you can youtube how to remove and clean focusing screens. It is relatively easy. Rule of thumb here, unless the lens isn't extremely dirty, the dirt you see in the viewfinder won't show up on your pictures. Since you've checked everything but the mirror I would say it's the mirror. 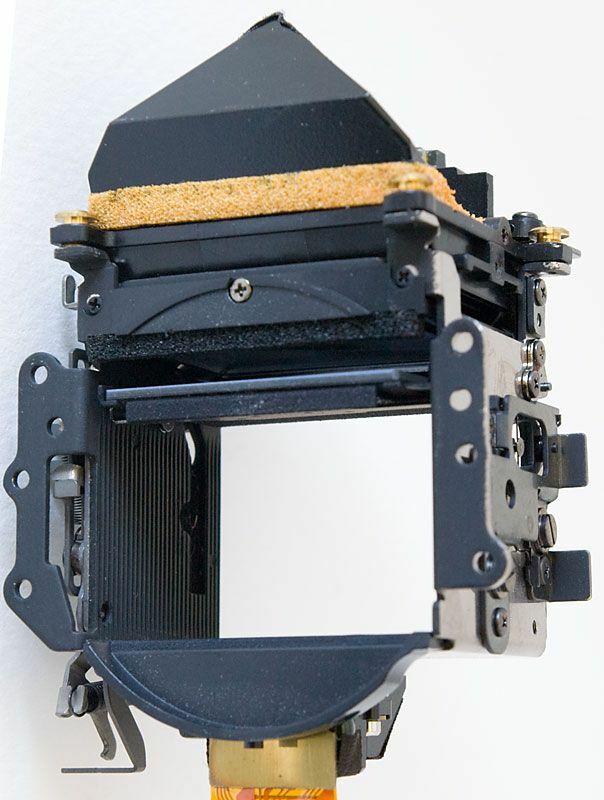 Also check if you accidentally moved the viewfinder diopter adjustment. I did that once on my K100D and thought my camera was dead, as even with focus confirmation everything was out of focus. Hi I don't know how to link to another post but I posted about fingerprint type marks in my viewfinder a few days ago, maybe you are seeing the same thing I am. My post is called - Is this normal- just scroll own a little in the beginners corner and you will find it. Hope it's just the same thing people have told me I'm seeing and not actual fingerprints. The fine concentric circles on the focusing screen is probably the frensnel lines. It serves to spread the illumination reflected off the mirror to the corners of the screen. It's absolutely postiviely definitely the normal pattern of the microlenses ont he focus screen. Every DSLR focus screen has these; they are just more prominent on some models than others - and the visibility of these depends on the light as well. I agree, it might be your diopter adjustment is off. 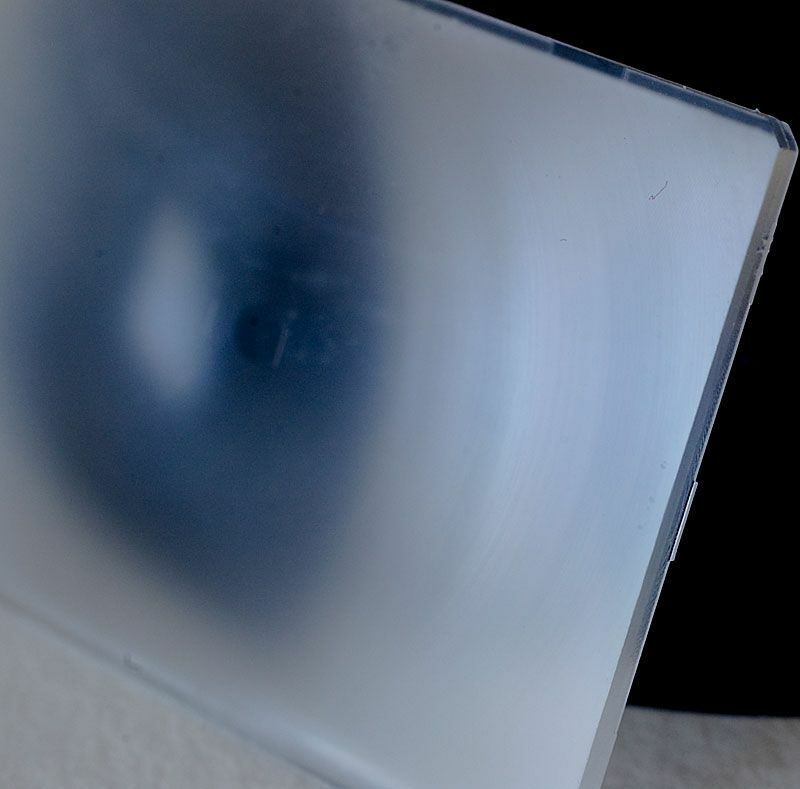 If your diopter adjustment is off, you would see more of the fresnel lens that look like fingerprints. I tried to get a photo of a focusing screen that showed the fresnel lens surface. It's not great but you can sort of make it out. I have some other photos to show how the viewing system works. The basic description is the light comes in the lens, hits the mirror and is reflected upwards. 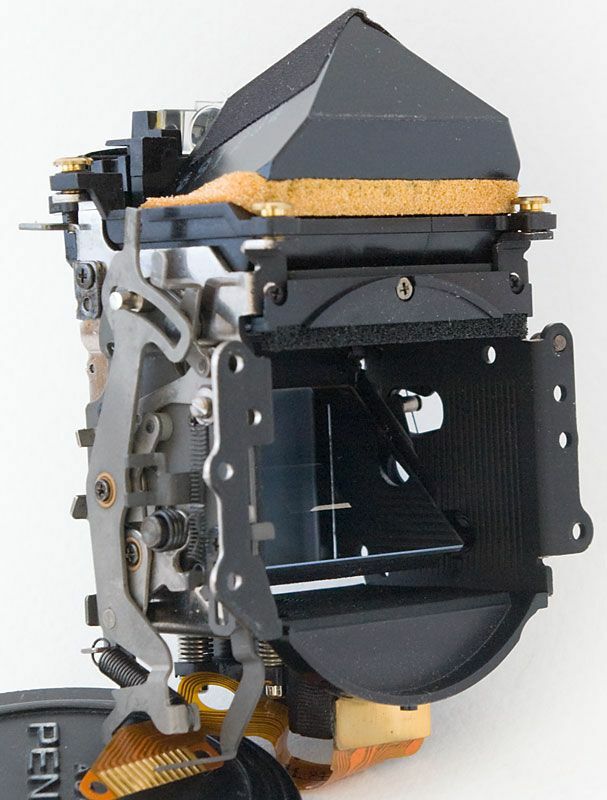 It passes through the focusing screen, then is reflected several times through the pentaprism and out through the viewfinder system. 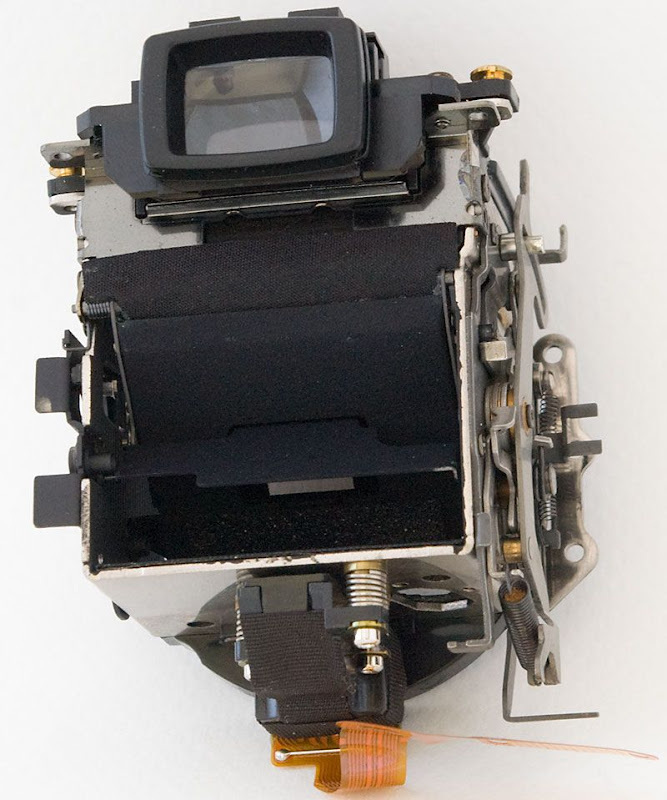 This was an Pentax SF10 film camera. 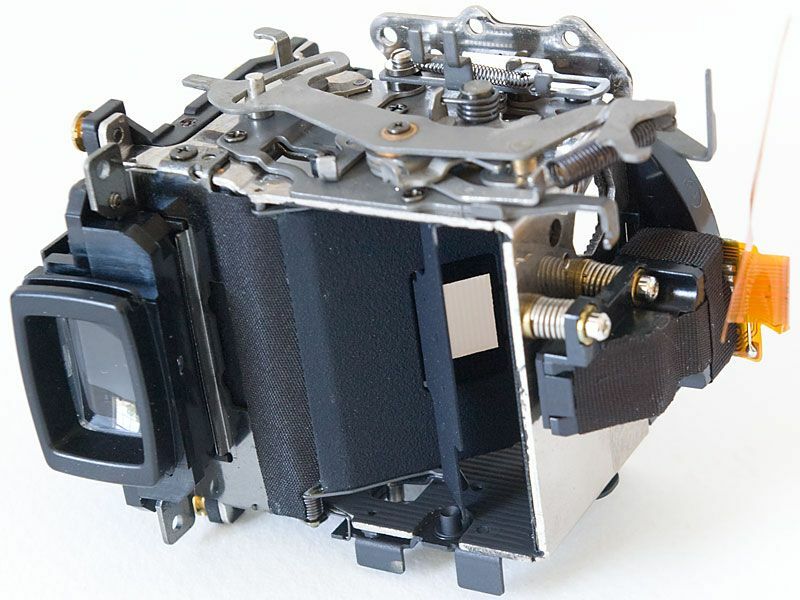 The first photo shows the viewfinder and the back of the mirror. This is from the lens mount side. The pentaprism is on top. Cheaper cameras like the K-x use mirrors instead of a prism, but they'd look the same from the outside. This is the mirror box turned sideways and showing the bottom. The mirror has a cutout in the center and a secondary mirror reflecting downwards. There's a hole in the mirror box and the AF sensors are on the other side. You can see two of three adjustment screws and the electrical hookup for the sensors. This is why some dirt is not that important. When you take a photo, the mirror flips up to expose the sensor to light. Therefore, the mirror, screen and viewfinder don't affect photos. Hey Javaslinger, I hope you take note of the fact the Just1moreDave is willing to tear apart his whole camera just to give you a clear explanation of how this works. That has to be worth some reputation points. You got some from ME!!!! I was impressed!! !